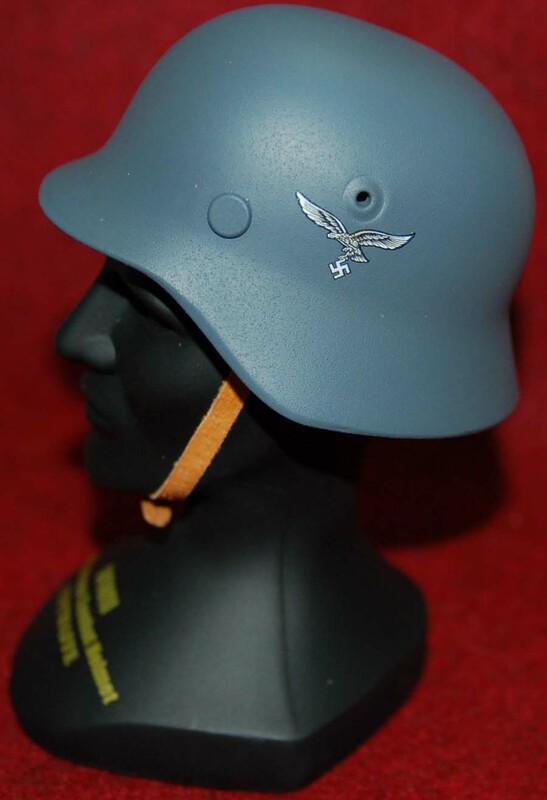 This is a replica 1:4 scale M 40 Luftwaffe single decal mini helmet. Its detail is fairly accurate. 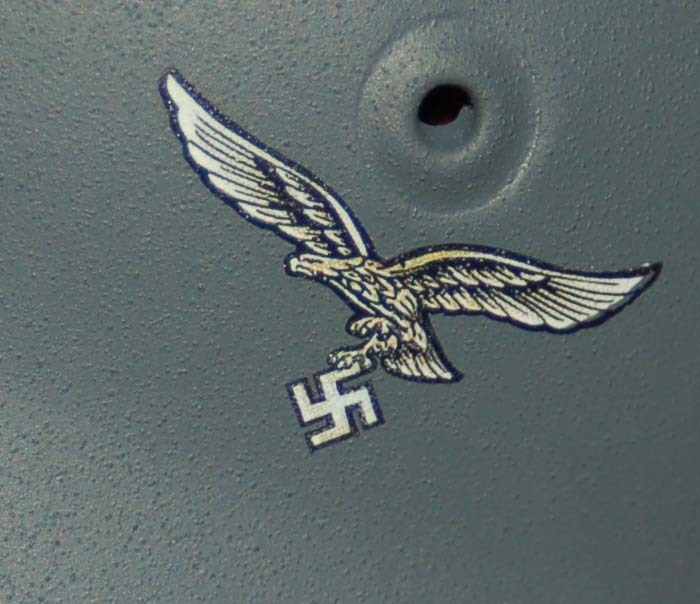 This would be a great accent item for any Luftwaffe display. 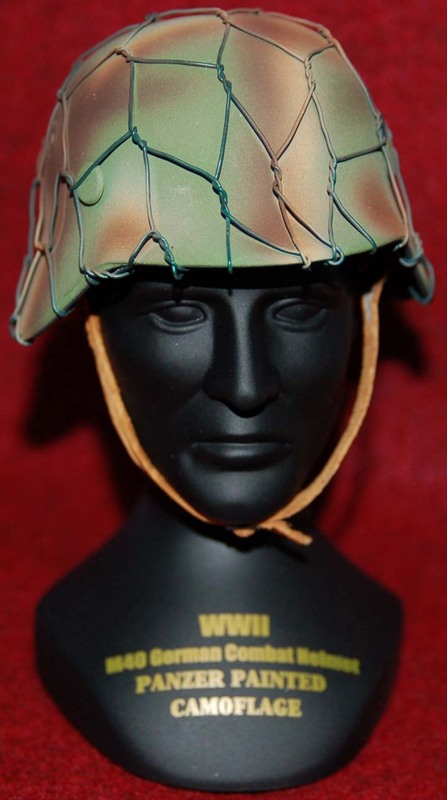 The helmet comes with a bust stand and is approximately 4 1/2 inches high. It is made from diecast metal. 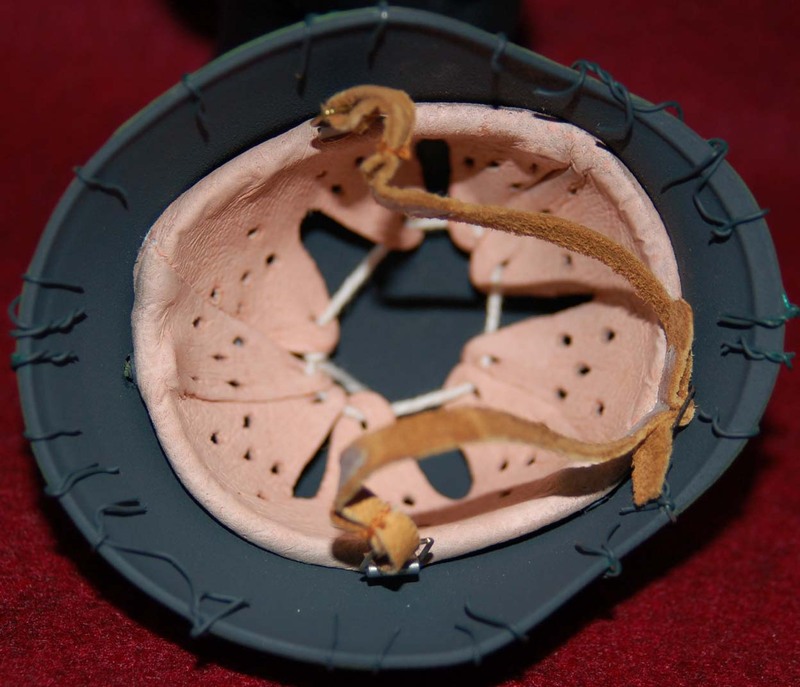 The liner and chin strap are made from leather. 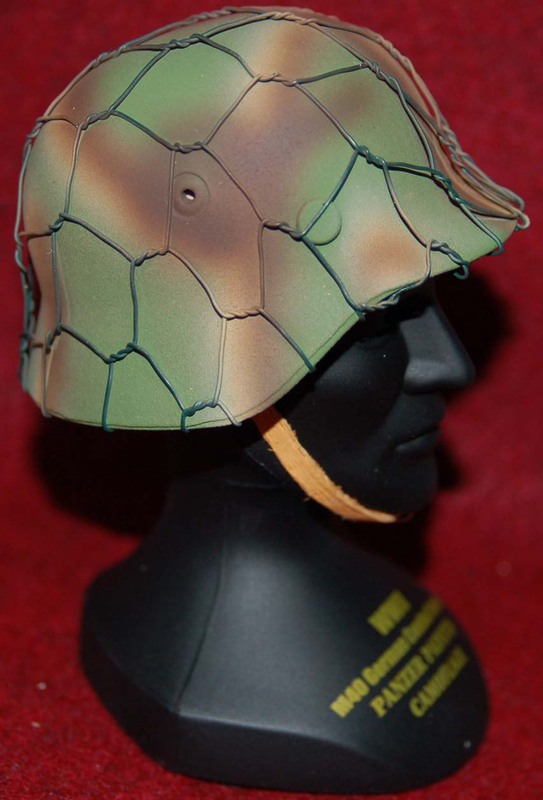 This is a replica 1:4 scale M 40 camouflage mini helmet, complete with a chicken wire cover. Its detail is fairly accurate. This would be a great accent item for any German military display. 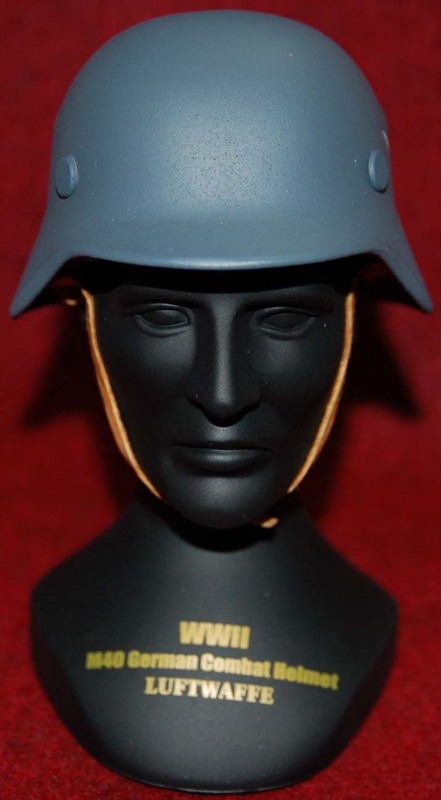 The helmet comes with a bust stand and is approximately 4 1/2 inches high. It is made from diecast metal. 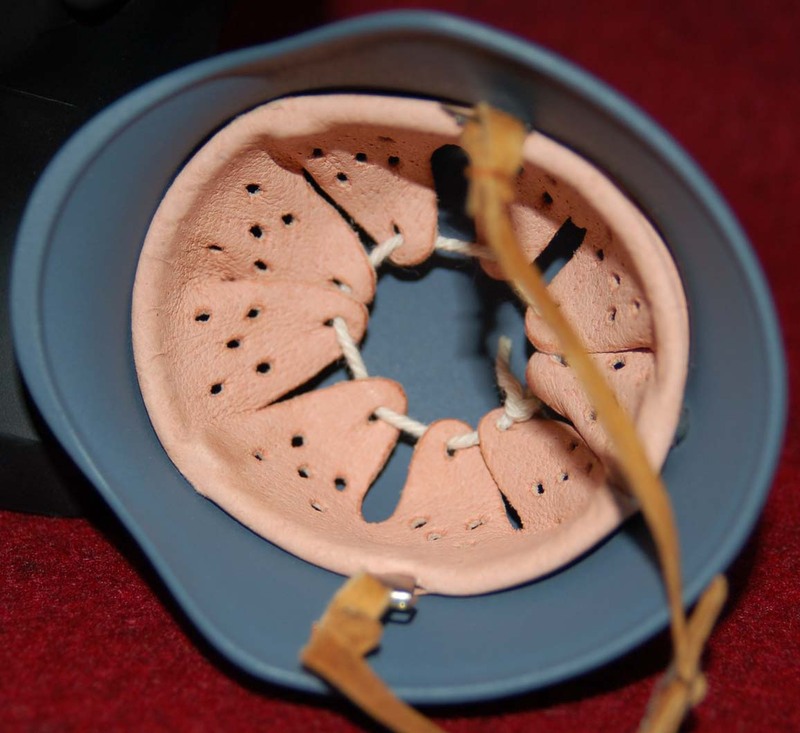 The liner and chin strap are made from leather.